Thanks for looking into this. In answer to your questions, I have also at times loaded 4-5ug/lane. I have also checked it with ponceau stain. I have also cut my membrane and probed for other antibodies and they have worked. 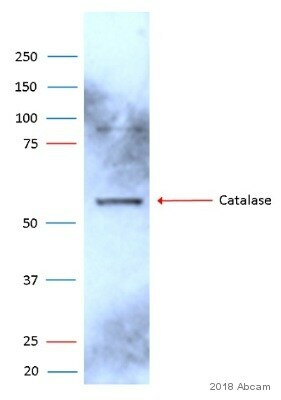 I am more than willing to try a new antibody for Catalse if you suggest it works better or atleast shows bands. I would also like a positive control for catalse just in case. We have tested this antibodies in liver, placenta, or HeLa lysate and any of them will be appropriate as a positive control. Which would you like to try? I look forward to hearing from you. Please let know if you have any questions or need anything else from me. 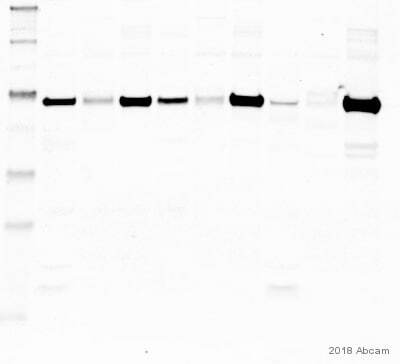 I had ordered Catalase antibody from Abcam. It worked fine for a few times and then it stooped working. I inquired and the tech support said it might have undergone freeze thaw. So I ordered a new antibody from catalase and made aliquots. It did not work for me. I tried increasing the amount of protein, but it did not work. Please send me a positive lysate because for some reason I am not able to get results. Thank you for contacting us and letting us know about the trouble with this antibody. I am sorry to hear that the results have not been satisfactory. I looked through our records and found the previous correspondence you had with my colleague about the first vial of ab52477. Could you confirm that the protocol details are the same as before? 1) primary antibody dilution and incubation time - 1:1000 dilution and overnight incubation at 4C. 6) transfer and blocking conditions (how long and what reagent was used) - 3% BSA for blocking, Primary and Secondary. 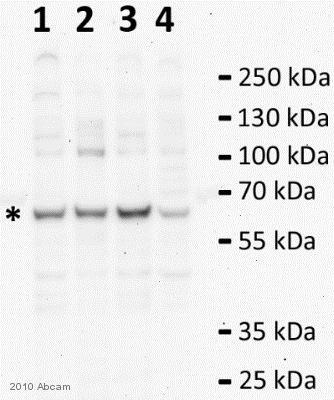 7) secondary antibody dilution and incubation time - HRP, 1:2000 dilution and 1 hr incubation. 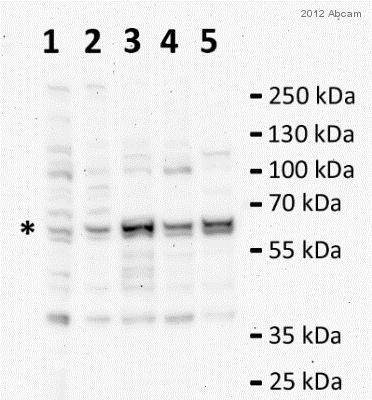 Western using other antibodies with the same secondary gave me nice results. I also have a couple of additional questions. 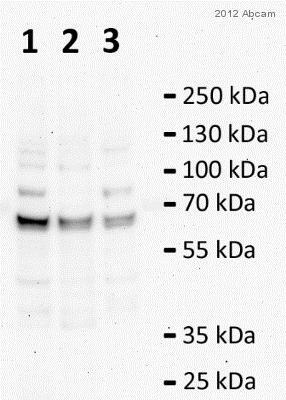 What was the largest amount of protein that was loaded per lane of the gel?Was the protein transfer verifiedwith a Ponceau stain?